From October the 30th to November the 3rd, FAO’s Seventh Session of the Government Body of the International Treaty on Plant Genetic Resources for Food and Agricolture took place in Kigali, Rwanda. The International Treaty’s aim is manifold and include improving the access of farmers and scientist to plant genetic materials, ensuring benefit sharing, as well as highlighting the capital role of farmers in feeding the world by cultivating diversity. The Fridtjof Nansen Institute (FNI) – partner of DIVERSIFOOD – attended the conference and on November 1st organized the side event “Community Seed Banks: Sharing Experiences from North and South“. 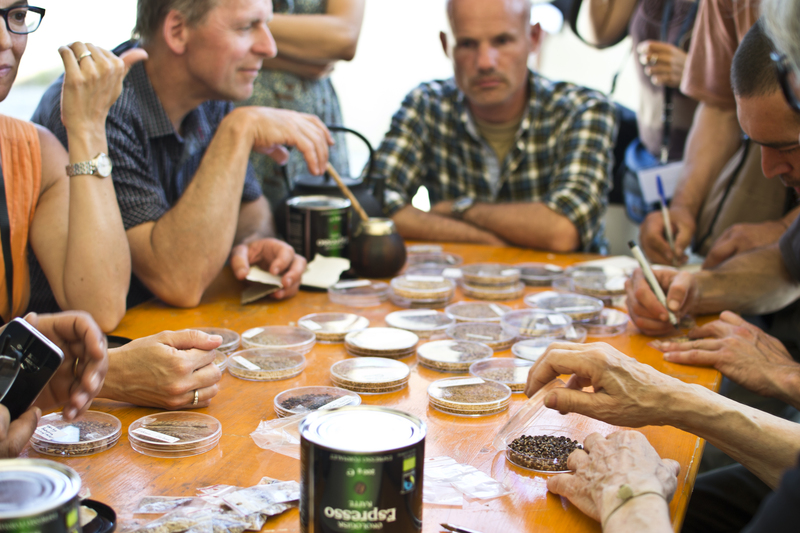 Regine Andersen of FNI presented results concerning the experience gathered through research and international workshops about Community Seed Banks, with the aim of sparking discussion about future developments and action needed.